We’re only a few days into summer and I’m already wishing the days to proceed on a snail’s pace. Days are unfolding so quickly that I’m still trying to wrap my mind on things happening this summer. After all, summer is generally only 9 – 10 weeks long considering the “back to school frenzy” in September. 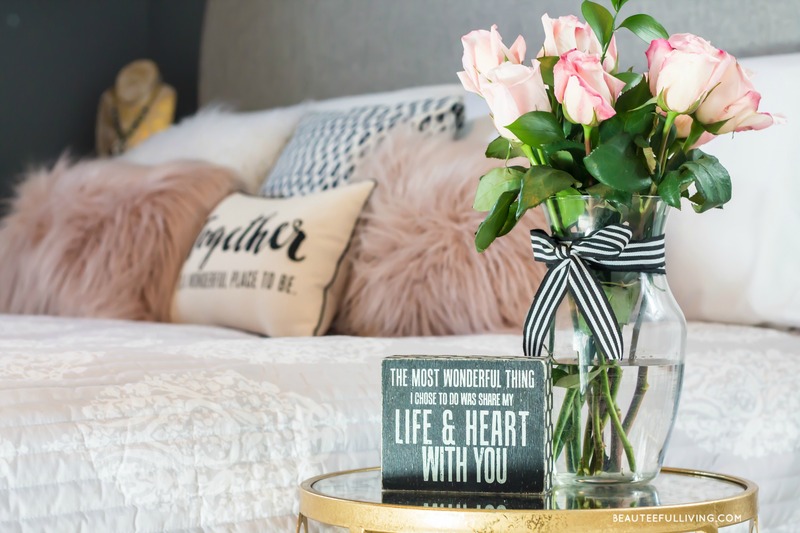 Just like things happening in life, there’s also lots happening within the Beauteeful Living blog world. I’d like to keep you all in the loop of what you’ll be seeing during these summer days. Thank you for joining me! This is a weekly Instagram decorating challenge that just started last week. I’m co-hosting along with 19 very talented Home Decor/DIY/Craft bloggers. Participants will need to follow all 20 hosts on Instagram in order for their entry to be eligible. On Tuesdays, the theme for the week will be announced while the winner of challenge will be announced that Friday. Not a blogger? No problem at all. Anyone can join the fun! 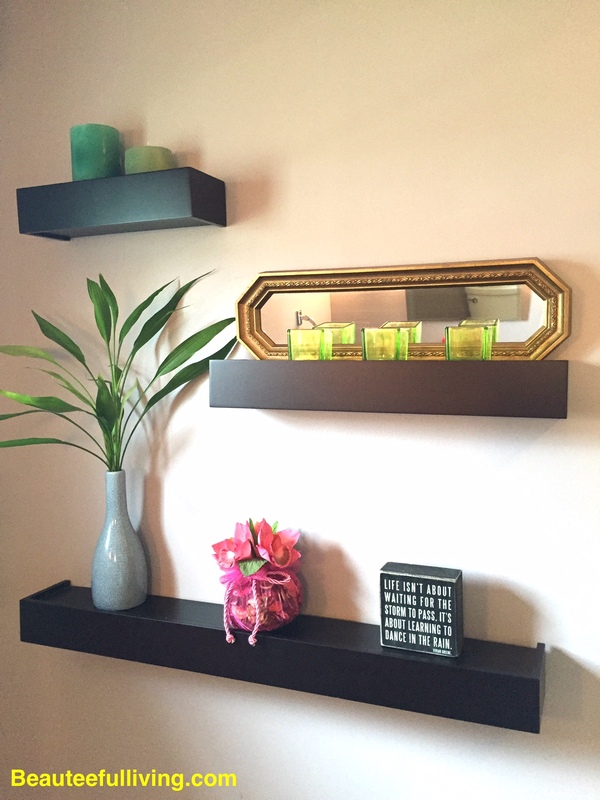 The winner of the first #Ourshelvies challenge (Mirror, Mirror) goes to Rhonda from Hallstrom Home! Be sure to check her beautiful Instagram feed here as well as her website here. 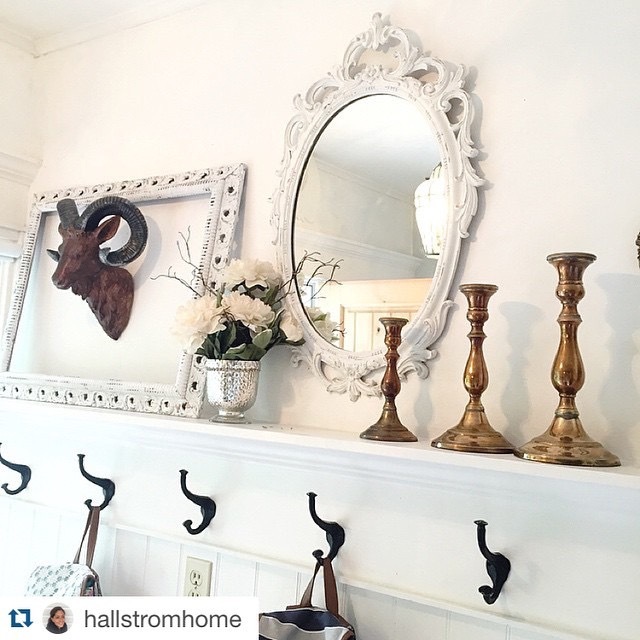 Participating in this challenge has been so much fun because “staging” is one of my favorite things to do. Being able to re-use existing items in the home for the week’s theme can really get the creative juices going. I love that! My home will be featured in a “Summer Home Tour Series” hosted by Michele at Shelstring Blog. Michele is one of the sweet and talented bloggers I’ve gotten to know. You can check her Summer Home Tour Series here. My tour will be coming up in late July! Our summer vacation to the Caribbean is coming up in mid July. 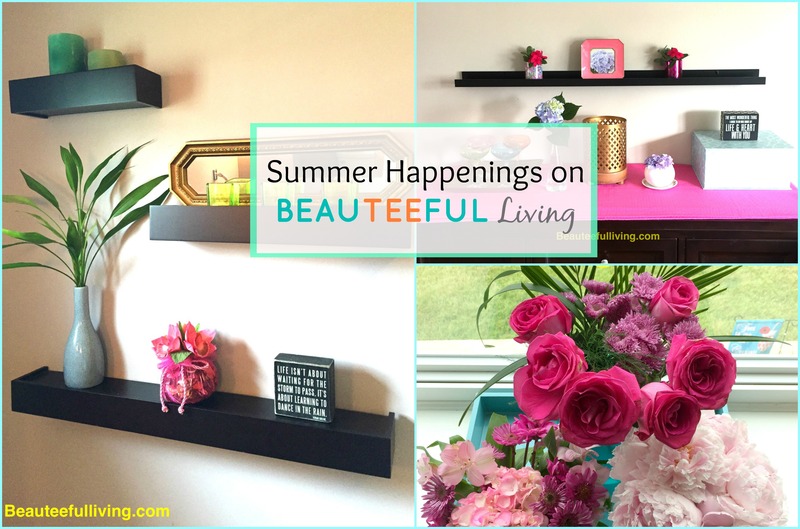 Right now, I have no plans to schedule major posts during the week of travel so the best way to follow along (through pictures) would be visting Beauteeful Living‘s Facebook page here and Instagram page here. Hope you subscribe if you’re not already. Thanks! I’ve got some exciting projects lined up in these summer months. One of them is decorating for a bridal shower while the other is revamping someone’s home space. 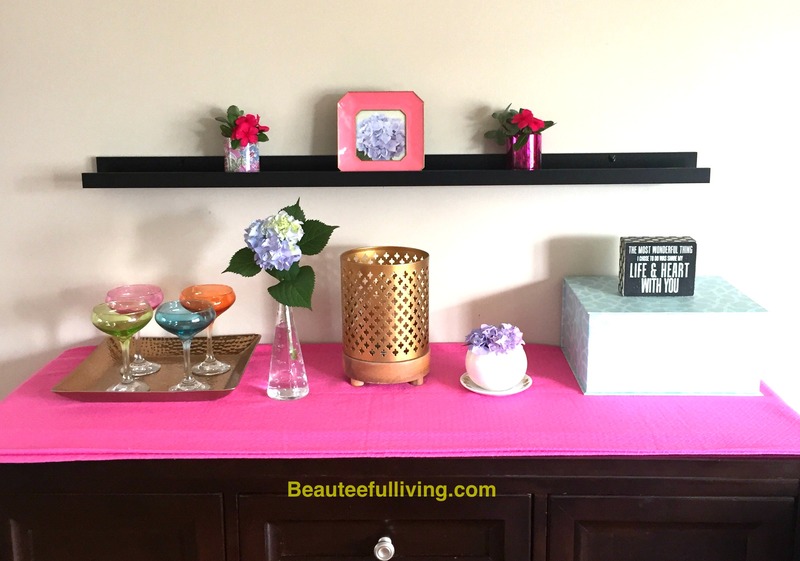 Decorating for events and homestaging are 2 of my favorite things so you know my head is brimming with ideas already! Stay tuned. I’d love to hear your thoughts on the things I have lined up. Excited about seeing any of these? As always, thanks for reading! Happy Summer! XO, Tee. Can you come to my place and revamp it too? 😉 I need help! I love the shelves you picked out, especially the one with 2 mirrors. Oooh great summer schedule! I am eager to see what you have awaiting us. Love your entry for #OURshelfies! You’ve got a very busy summer indeed! I love your pink and gold mantle… So bright and happy! I love the winners mirrors and decorations! It looks like you have a ton of stuff in the works!! Thanks for stopping by, Michele! Can’t wait to do the blog hop with you! Ahh vacation! I can’t WAIT to see what all you come up with, just gorgeous stuff everytime. Thanks for keeping us posted! Thanks, April! It’s been so much fun checking out what the hosts and participants come up with!